Editor’s Note: We, like you, are a little tired of last minute complex topics tossed into an agenda dripping with staff’s obfuscation and drowned in legalese. We’ve recruited a former policy aide to provide FFFF readers with some perspective on current and emerging issues to be placed before the Fullerton City Council over the course of the next year. Our retired insider published a list of 100 topics for discussion yesterday. This is the first post in a series to talk about policy impacting our budget and our lives. Say what you’d like about FFFF’s motives, but if we don’t break this stuff down to talk about it, who will? With that, here’s The Fullerton Bagman with Council’s first item to resolve next year. I’ve been involved in government for a long time. Sometimes it’s a great experience, sometimes it’s not. For those of you familiar with this blog’s coverage of The Seven Walls of Government, this is what we’ll be confronting directly. I don’t expect anyone in Fullerton to actually scale all seven walls and affect change, but I will equip you with a bare minimum necessary to side-step staff reports and speak to the issue at hand. Council may still ignore you, but at least you won’t be dependent upon drinking from their tainted well to quench the crushing thirst of ignorance. Going forward, I and other members of the FFFF staff will provide you with a standardized one or two page summary of a critical issue facing Fullerton, free of bureaucratic interference and gobbledygook. As a result of Jesus Silva winning election as District 3’s elected representative, he must vacate his current at-large elected seat. This results in four elected officials on a body with five seats. All decisions require a majority vote (2 of 3, 3 of 4, or 3 of 5) of Council, with some votes requiring three votes specifically. With an empty seat on Council, some issues may not get resolved because of a 2-2 split or a 2-1 split in the case of a recusal for items requiring three votes. In the case of a split, by law, the Council’s official action is to take no action. In the case of a critical item like the budget, a decision of “no action” means the city lacks the ability to legally appropriate funds to pay bills, causing failures of local government functions. While unlikely, not being able to pay employees, including police and fire, will have serious consequences. More likely, but still serious, is failure to agree on an issue like a lawsuit settlement. “No action” from the Council may increase taxpayer risk, which over time increases costs. From a symbolic perspective, in 2016 electors chose three candidates to make decisions on behalf of the city’s residents. Councilman Silva’s resignation deprives the electors of their choice, meaning tolerating a vacancy leaves Fullerton voters without a representative, which arguably undermines faith, trust, and effectiveness. 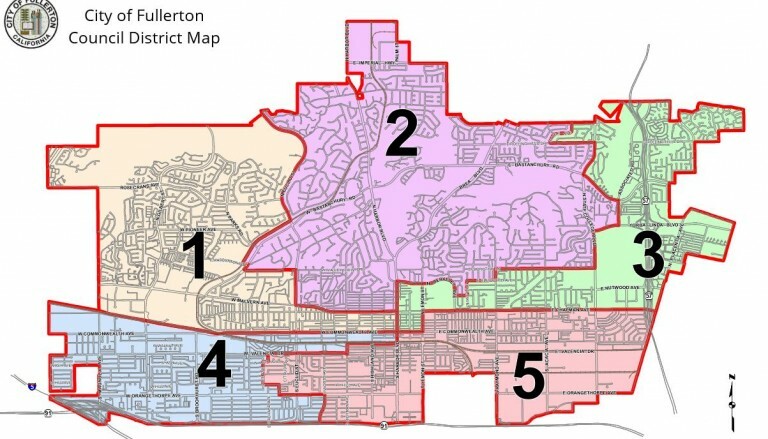 On November 6, 2018 (election day), the Fullerton City Council changed the municipal code governing the process used to fill vacancies on the Council. Prior to the change, the City Council was required to hold a special election upon notice of a vacancy. After the change, Council has an option to hold an election or to fill the vacancy through appointment on majority vote. Councilmembers Whitaker, Fitzgerald and Zahra will vote on the item. The City Attorney will need to weigh in on the legality of Councilmember Silva appointing a replacement for himself, which has conflicting legal holdings and questionable ethical standing. Option 1: Potential for acute breakdown of government and escalating costs associated with inaction on serious issues. Some short term cost savings associated with salary and election costs, all potentially offset by one impactful tie vote. Highest risk case. Option 3: Short term exposure to tie votes, likely lasting weeks or months (possibly one budget cycle) with the earliest possible restoration of electorate rights, with the same quality of candidate concerns as Option 2. Cost estimate of $400,000 applies. No potential for “electioneering”. You put more thought into one blog post than Jesus Quirk-Silva has put into his whole life. The council is a terrible judge of character and they should be restrained from making any more appointments at all. Which is precisely why they shouldn’t have given themselves the power to appoint their own and yet did anyways. I wonder if failed city manager Chris Myers is on the short list. He might be able to get Fitz, Jesus, and the socialist Zahra to go for him. We’re gonna need a bigger dias. I’m sure Flory can get on her broom and glide in! I’d challenge the assertion that no council decisions will lead to disaster. Just about every decision this council has made is a already a disaster. It simply could not get worse. Sign me up for a ride on the ghost ship. The budget is just a bunch of made up numbers that never reflect reality. The paychecks will still print until the accounts are empty, no matter what the spreadsheet says. Can’t they just elect Greg Sebourn as a replacement? Yes they could, but why would Jesus Quirk Silva or socialist Ahmad Zahra do that? They’ll want to appoint an asshat similar to themselves. I have no idea what shitzgerald will do at this point. Bruce would support appointment of Sebourn, so he’s not Omega Man on council. And mark my word, that weasel Chaffee will end up as Supervisor due to the never ending stupidity of the OC Electorate. Then what? Maybe Uncle Curt will recommend someone to FItzgerald. I think we need a special election. Maybe I will throw my hat in the ring. Could the Council vote for a special election for a District 2 representative? Wouldn’t that substantially reduce the $400,000 estimated costs? Can’t dissolve the existing office. How much are condos running? I saw a moving truck in front of Chris Norby’s house, he is on his way. Here’s fun scenario: appoint Whitaker to replace Silva; then appoint Fitzy to fill out the balance of Whitaker’s at-large seat. Then each can stay in office and run for re-election in 2020. That’s great, but you still need a third stooge to run out Fizgerald’s clock. Back to Square One. Depends on how long you Fullerton humans string out the train wreck. Of course CW now suggests that since she’s taking her pay and benefits Fitzgerald is giving up on elected office. If so Fizzgerald will be angling to appoint someone she can lobby later. If the person lives in her district, Whitaker would probably go along and maybe they could get Hayseuss to buy in. This assumes that any of these people are capable of hatching a plan with more than one step. They’re not. In California elections, it’s a firmly established pattern that the votes counted last almost always favor Democrats. Regardless of cost, a speedy election should be held while the council remains at 4. An appointment will please no one. Sebourn was rejected by the voters. He most certainly should not be appointed. 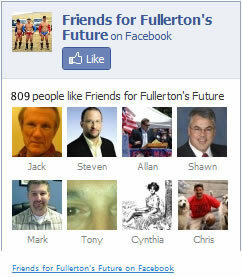 Fullerton would look like a banana republic. The next couple of city council meetings should be interesting. We can thank the courts for our unnecessary districts. Kitty jamarillio lawsuit started this. …Anahiem Has district and at large seats. Well, Chaffee now leads Shaw for Supe by 7 votes. The lead will only increase. So how do 2 council vacancies get filled??? Chaffee’s term was up. District 2 should have been on the ballot but wasn’t. It will be represented de facto by the rump appointee and other at-large members until 2020. There was no logical reason why D2 should have been chosen over any other district. The at-large council members do not represent the districts that were gerrymandered around them for incumbency. Because the seat was going to be open. Three wasn’t. Silva lives in it. Should have been 2 and 5.